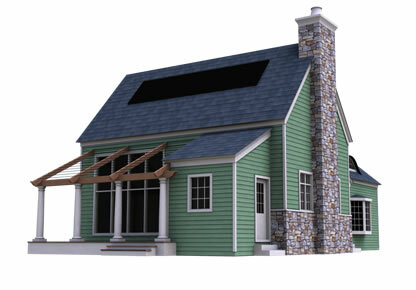 Passive Design Homes / Prefab Home Kits brought to you by Green Cottage Kits. This passive solar two bedroom, open floorplan cottage home starts around $40,500. We offer panels in varying thicknesses. If you order 4 5/8" walls with 8 3/8 roof panels, the price will be about $34,578. 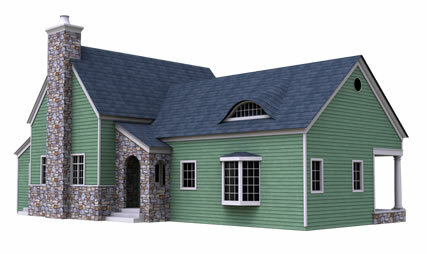 If you order 6 5/8" walls with 10 7/16" roof panels, the price will be about $38,000.